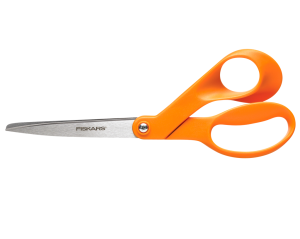 Scissors are used for cutting various thin materials such as paper, cardboard, metal foil, cloth, rope, and wire. , or trimming poultry and seafood. Poultry can be divided easily and fins cut off from fish before further filleting. Scissors or shears are also used for cutting through the shells of seafood for easier removal.